I was very happy (delighted, ecstatic, elated, jubilant, overjoyed, thrilled) to hear that the BBC would be producing Agatha Christie’s masterpiece, “And Then There Were None” for television this year (next year in the U.S.). This will be the first time this story has been produced for television (though it did hit the big screen in 1945 and 1974), and it should be a stellar event. How can you go wrong with this fabulous cast? When the guests arrive, they find their host, the mysterious Mr. U. N. Owen, has left them in the charge of the butler and cook, husband and wife, who are also new to the island and have never met their employer. After dinner the first night, a record plays on the phonograph, and Mr. Owen’s voice accuses each of the ten people present of crimes for which the law cannot touch them. Terrified and unable to escape the confines of the island, one by one, just as described in the nursery rhyme of the ten little soldier boys, people begin to die. But will they catch the killer before there is no one left? “Searingly modern”? I hope not. “Modern” is all around us. Give me historical every time, and be true to what the author wrote! Anyway, I’m eager to see what they do with the story. As written, it really would be a challenge to film, especially the end. In fact, both of the earlier films changed the ending, and for once I was happy with that. I just want to see it. 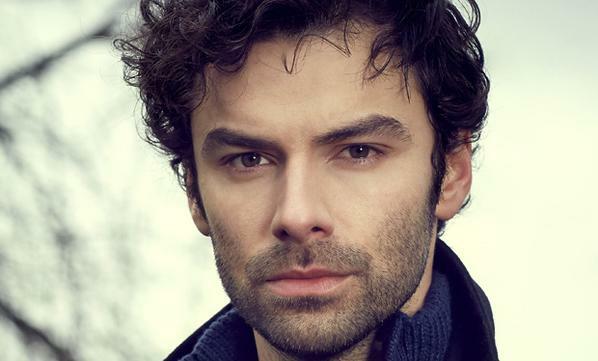 Aidan Turner is just the cherry on top! Have you read And Then There Were None? How did you like it? Are there other Christie mysteries you prefer? Had you heard about this new production? What do you think? Will you watch? Ummm . . . Aidan Turner, right? Right? I had not heard this news, nor seen a pic off Aiden Turner before. I most certainly will be watching the adaptions, which hopefully isn't too searingly modern. I've only read 1 Christie novel. Maybe I was too young to fully appreciate it. I was in high school (or maybe even younger) at the time. Anyway, I never actively sought out any others. That said, hubby and I have watched the Poirot series, so I'll have to give this a try. 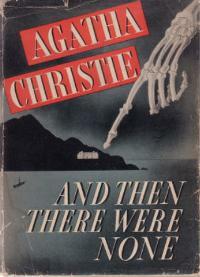 And Then There Were None is probably the best of Christie's books (maybe tied with Murder on the Orient Express). I hope they don't change it too much for this adaptation. My son doesn't really like reading very much, but this is his favorite book that he had to read for school. That's pretty cool. I don't remember them ever letting us read mystery except for "The Adventure of the Speckled Band" in Junior High. I am excited about this and can't wait to see it!